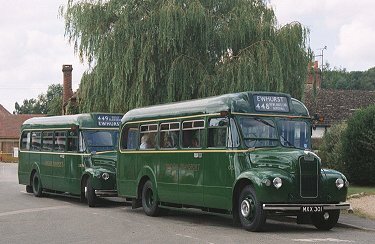 One of the events of the day was to be the meeting of three GSs at Ewhurst, on routes 448, 449 and 852. In practice this had never occurred in days of yore, but it would be fun. 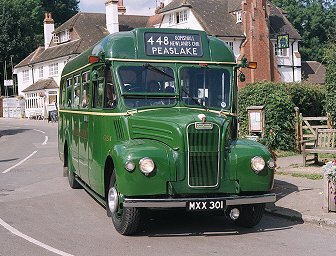 So GS1 was to set out along the 425 road to Gomshall, and there become a 448 up the narrow road through Peaslake to Ewhurst. 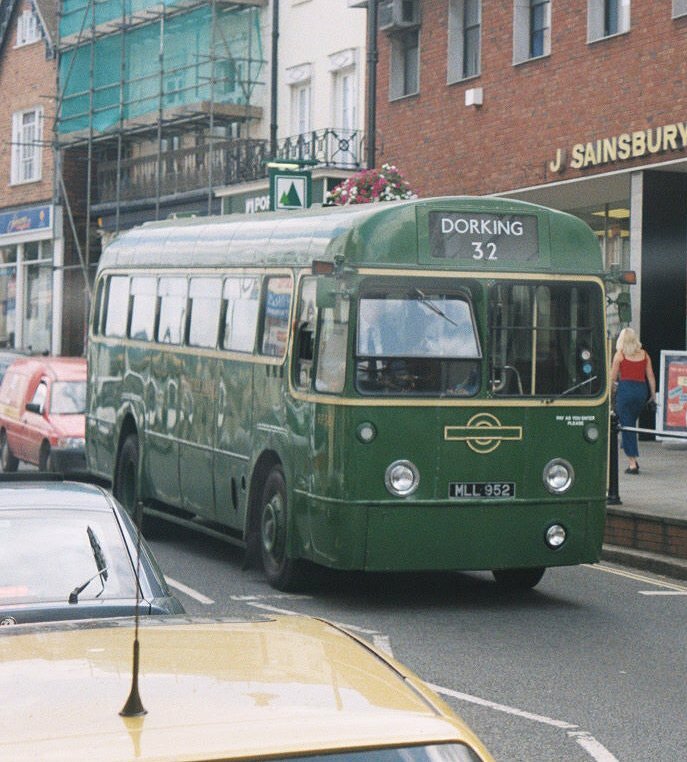 A few minutes later GS76 and GS62 would leave Dorking on the 449, travelling to Ewhurst via Capel and Forest Green. I arranged with John Huxford to travel back from Ewhurst on GS1, and joined Alan Charman on GS62. GS1 left, and a few minutes later GS76 and then GS62 pulled out to greet the crowd waiting at the bus-stop. 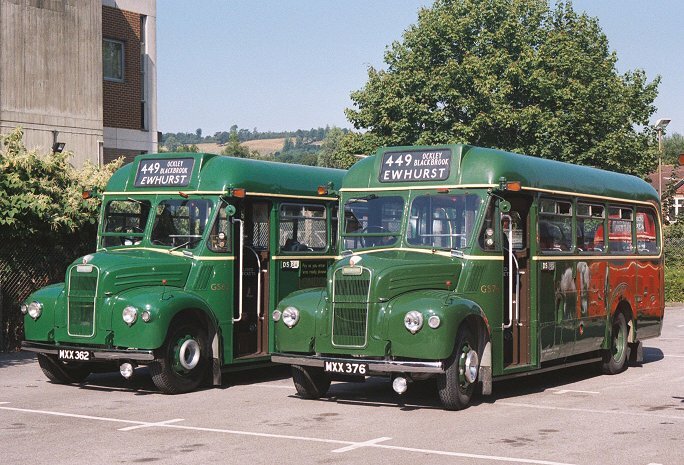 Even with two GSs there were some disappointments. 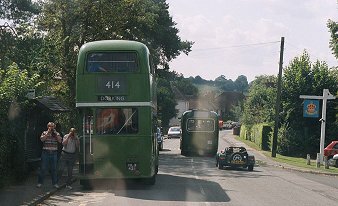 The two loaded Guy Specials went down to the roundabout, then headed south, climbing up over the Greensand ridge at Chart Park, then turning off the main A24 for the road south through Stonebridge and across Holmwood Common to Four Wents Pond. 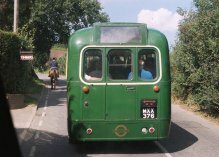 There we turned right to head for South Holmwood. 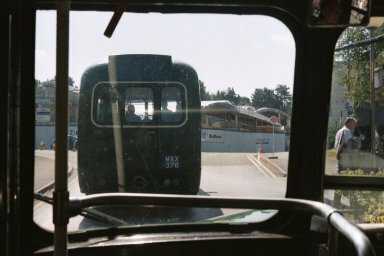 A left turn onto the dual carriageway of the A24 saw us speeding south for a half-mile to the right turn-off to Holmwood Station. 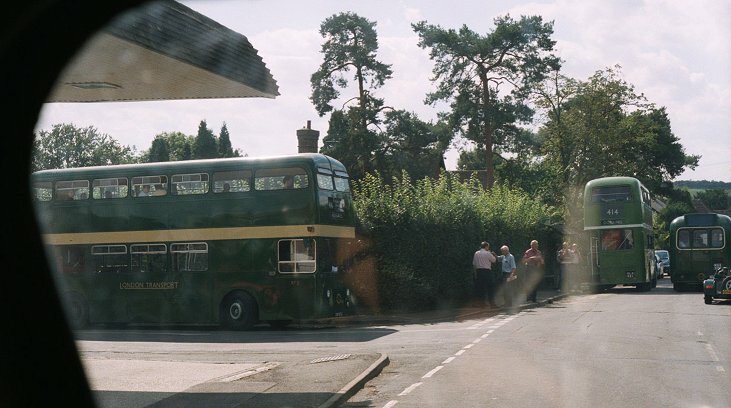 That was negotiated safely, and both buses wiggled through the settlement by the railway station (real semaphore signals!). 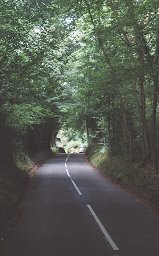 The turn back out onto the A24 was also accomplished without problems, and we continued south, soon bearing off towards Capel. At Capel there was a reception committee. 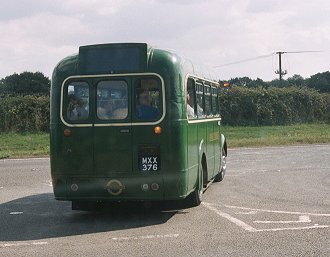 XF3 and RT604 were both turning after trips on the 414. Cameras clicked aplenty as the two GSs passed. 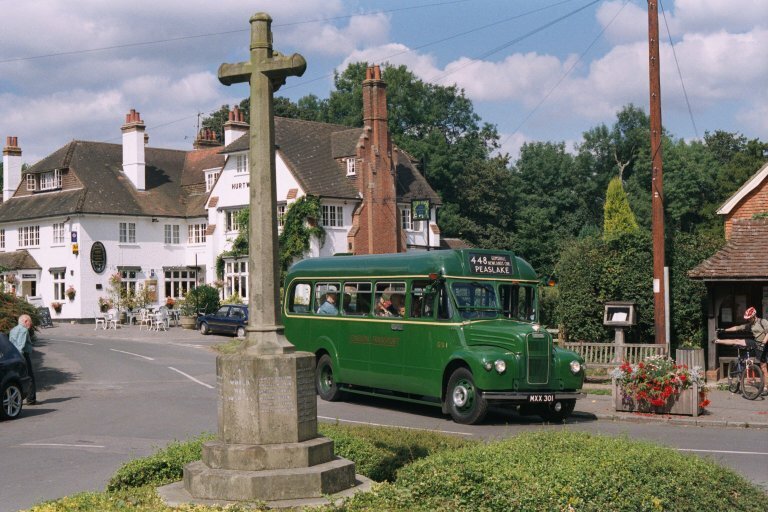 Beyond Capel we rejoined the A24 briefly, so that a roundabout could throw us off northbound in the direction of Ockley. 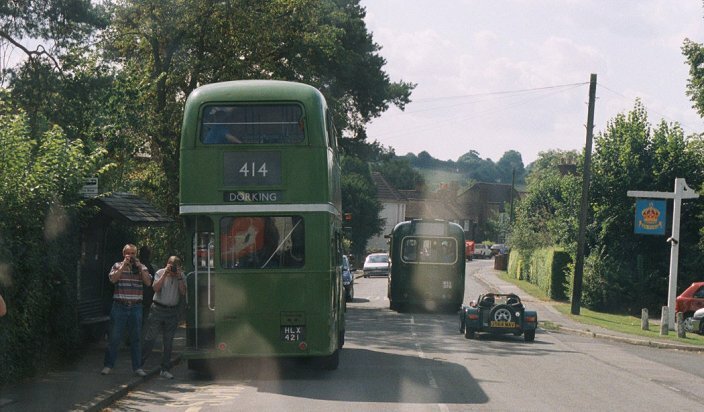 A short way back up the A24 we turned off to the left onto the B2126 past Ockley & Capel Station. 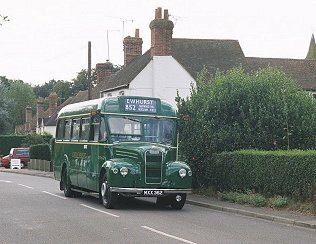 We crossed the A29 at the north end of the village, and continued towards Forest Green. 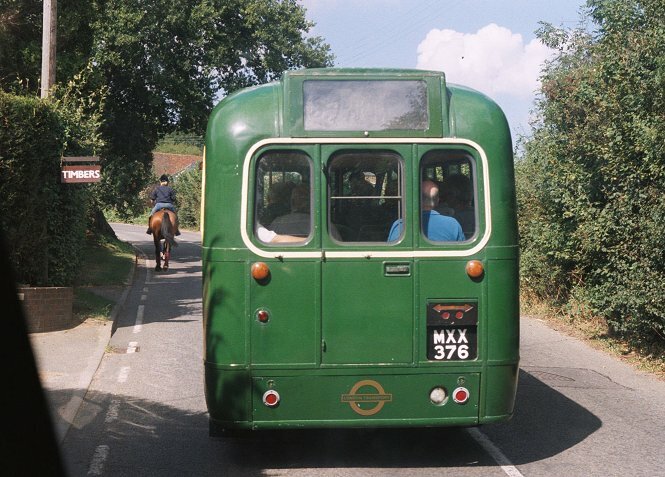 At one point both buses had a slow grind uphill behind two girls on horses, and in Forest Green a motorcyclist came off his bike while trying to snap a photo of GS76. The two buses wriggled on along the lanes on the south side of Leith Hill, and after a while reached Ewhurst, three-quarters of an hour after leaving Dorking. 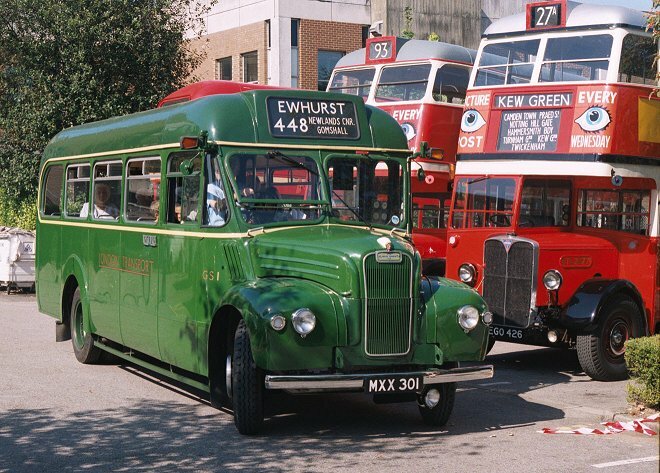 At Ewhurst GS76 and GS62 met up with GS1, which had already arrived via the 448 route. 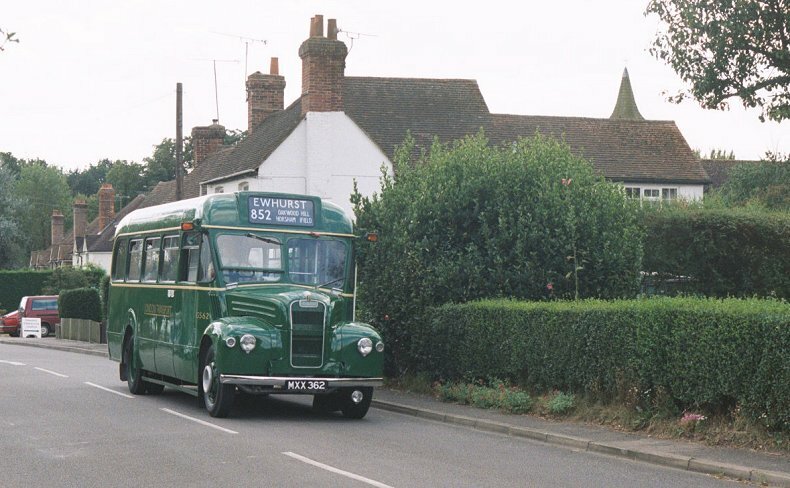 Alan Charman with GS62 went off to the other end of Ewhurst, to come back as an 852 a few minutes later. 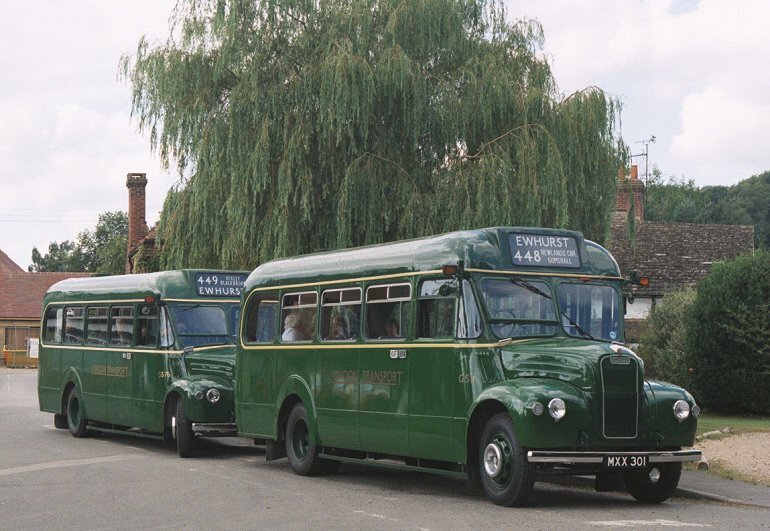 The three GSs gathered at the little green, GS62 on 852, GS76 on 449, GS1 on 448. Lots of photographs were taken. 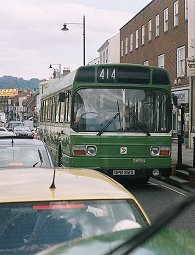 Unfortunately the forty folk who had arrived on the 449 could not all travel back on the 448. But John kept me a place on GS1. 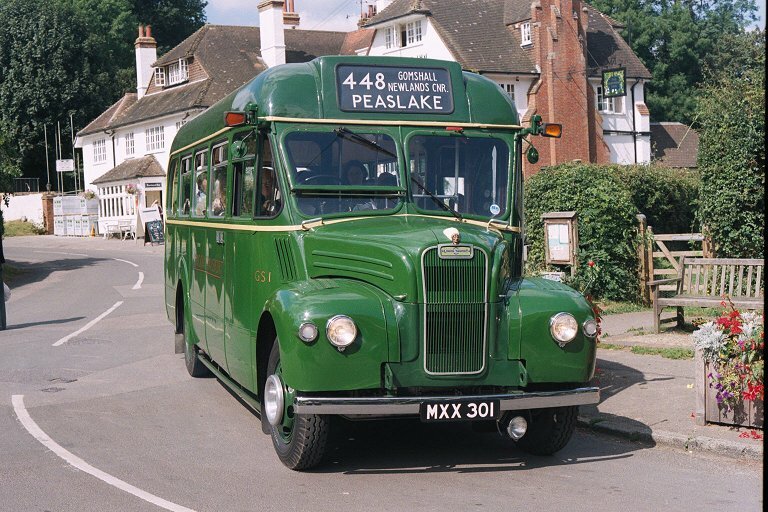 Soon we were off, northwards along the narrow leafy lanes towards Peaslake. 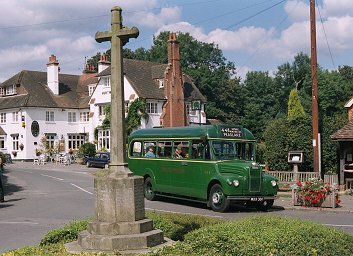 On arrival in the pretty little village John parked by the bus shelter, where the short-working 448s used to terminate. 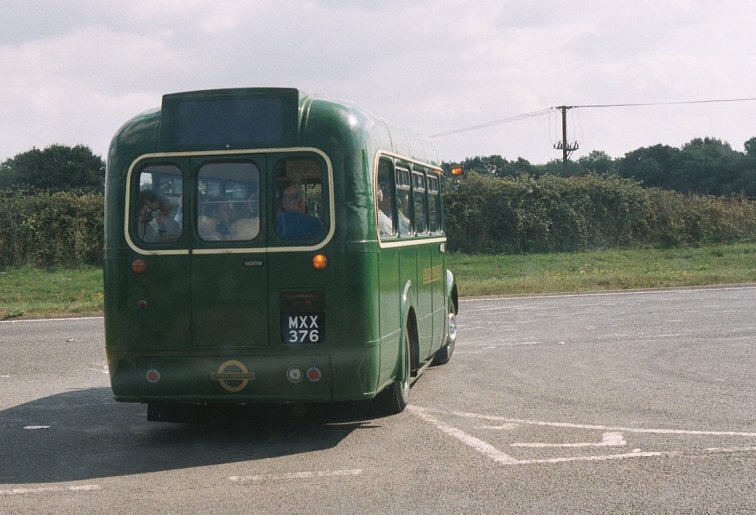 We spent a little while there, as local residents came out to talk about their memories of the little GSs - and their predecessors, the Leyland Cubs. 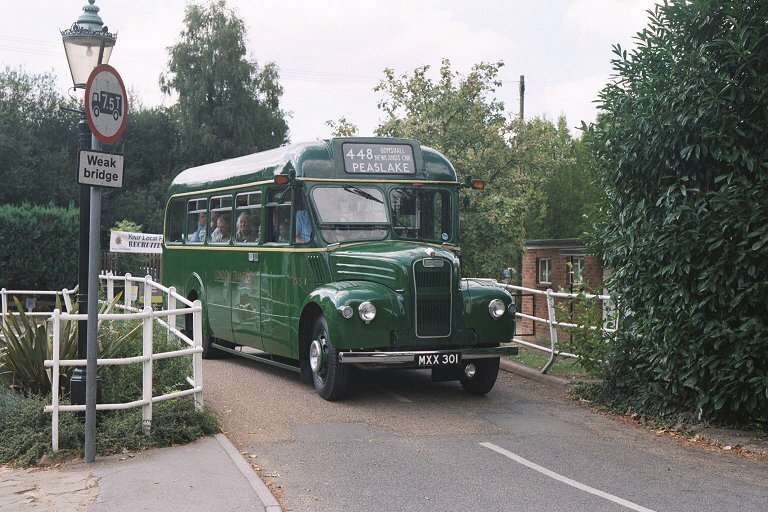 But time marched on, so we said our farewells and pressed on, down through Burrows Cross to the level crossing at Gomshall. 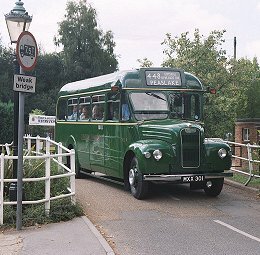 Beyond that we reached the reason why the route retained GSs for so long, under both London Transport and Tillingbourne Valley: the 7.5 ton weight limit bridge at Gomshall. 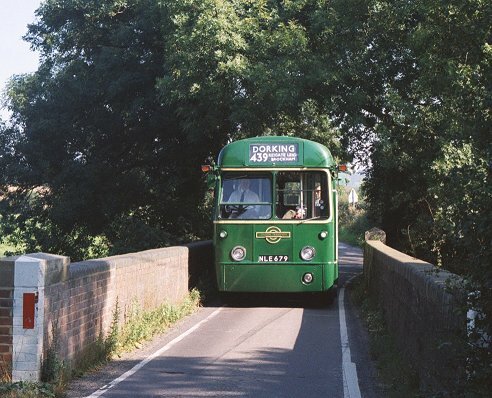 There was an exodus of photographers to watch the little bus squeeze over the narrow, lightweight bridge. 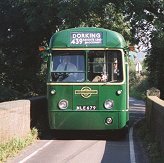 We jumped back aboard as GS1 turned east, along the 425 route towards Dorking. It was a complete change of pace, bowling along the A25. 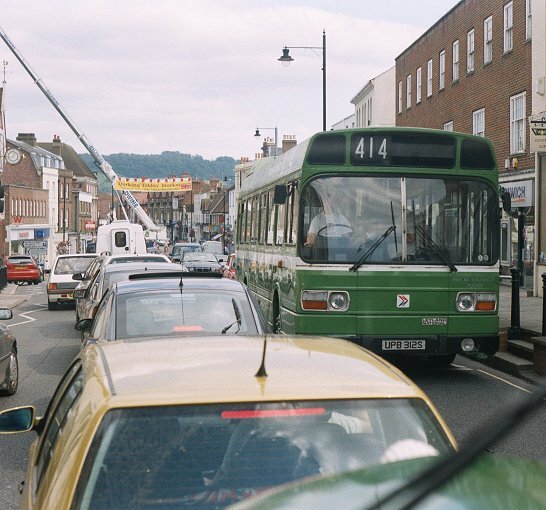 We joined the traffic queue in Dorking, occasioned by the installation of a new radio beacon on the town hall, using a huge crane. 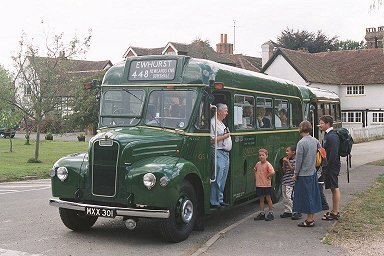 RF315, in service on the Surrey Sundays route 32, went past, and then SNB312 on a 414. 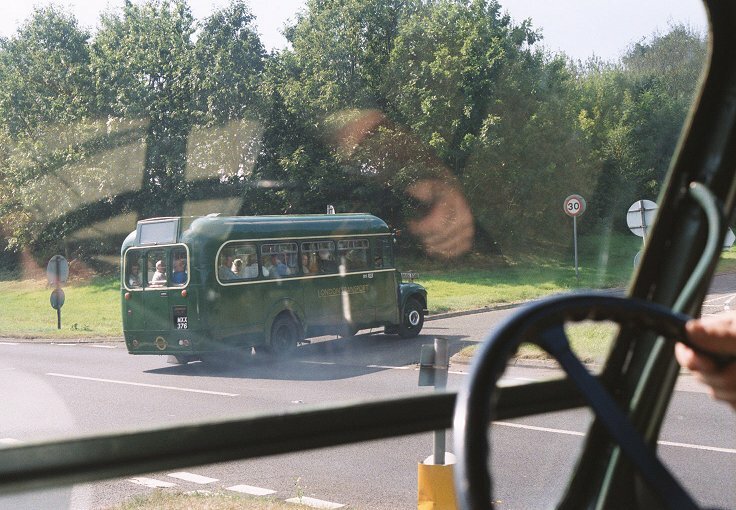 But all traffic queues pass, and soon we were easing into the bus park. I said thanks to John and headed for the sports centre across the road. Part 3: Southern extremes, 414 and 439 (RT604, RF366).